Offshore investments bring global diversity to investment portfolios. Concentration of wealth in any geographic area can have negative consequences in the event of unforeseen events. Furthermore, a knowledge offshore opportunities whether equity, debt, real estate, commodities or other more exotic assets permits investors to participate in wealth creation outside local markets. The global economy will expand at 3.6% in 2016 according to the International Monetary Fund (IMF). There are, however, wide country variations in economic prospects. The IMF estimates India’s economy, for example, will expand at 7.5% in 2016. South Africa’s economy is expected to grow at only 1.3% in 2016. The point is, there are numerous opportunities for equity and debt investments outside one’s own domestic markets. At Dry Associates, we are constantly reviewing these opportunities on behalf of our clients. Mutual funds and unit trusts are the most common way for investors to invest in the global marketplace. These collective investment vehicles pool investors’ funds and invest them in stocks and bonds in off-shore (foreign) markets. A fund manager makes the investment decisions, custodians hold title to the securities and trustees or independent board directors ensure that the funds are invested in conformity with laid out investment guidelines. These funds are typically “open-ended” which means that the amount of money the fund manager has to invest rises and falls as investors purchase additional units in the fund or sell units in the fund respectively. Franklin Templeton is a good example of an off-shore fund manager. An early pioneer I international investing, Sir John Templeton established his Global Fund in 1953. The investment philosophy of Franklin Templeton is value oriented meaning it seeks out undervalued securities. It then holds them for long periods of time typically 5 years or more before selling them when they are considered fully valued. This value approach to investing contrasts with index investing where the fund manager invests in a portfolio of securities that mimic broad market indexes. It also differs from growth oriented fund managers who invest in what they consider outstanding fast growing stocks. Franklin Templeton currently manages some $650 billion and has 48 offices worldwide. Eleven of these offices are in emerging market countries. Franklin Templeton offers 50 different funds in Africa. 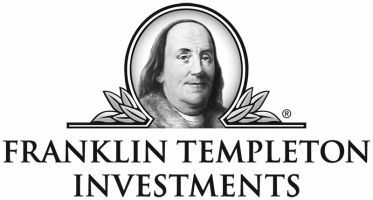 Some of the emerging market and developed country funds managed by Franklin Templeton that we are currently recommending can be viewed by scrolling to the tab INVESTMENT PRODUCTS > EQUITIES on this website. Dry Associates has been representing Franklin Templeton Investments in Kenya since 2001. To explore this exciting world with a Dry Associates Investment Advisor, have an Advisor contact you for a confidential appointment.